Fishing and farming are the main livelihood of the men in Brgy. Caparispisan in Pagudpud. But not everyday is a good day to either fish or farm. “When stormy months come and the cropping season is over, most of the men in our barangay become jobless for quite some time. They become ‘tambays’ doing nothing for the entire day,” said Robert Castro, a resident of Brgy. Caparispisan. Robert himself couldn’t depend on his income as a tricycle driver to support his wife Rosalyn and children Kimberlyn and Wilberlyn as it was just enough for their daily sustenance. Sometimes, he was earning even less than his fuel expenses which forced him to eventually sell the vehicle. 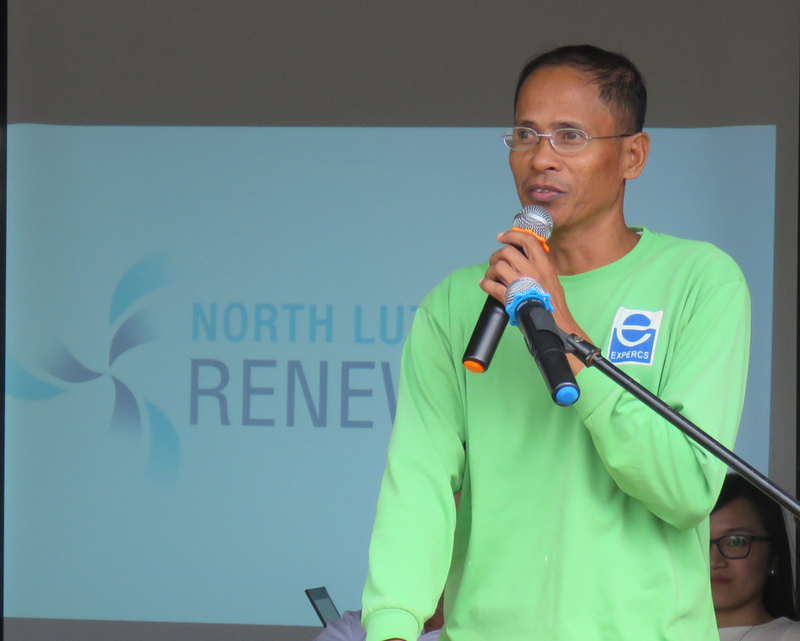 When he and the other men in his barangay learned about the work being offered by North Luzon Renewables as a forest workers, they grabbed the opportunity right away. Apart from receiving a fixed income every month as forest worker, NLR personnel also trained Robert on how to properly grow seedlings in his backyard. These seedlings are then bought by NLR for replanting to the wind farm. “In 3-6 months, NLR buys the seedlings from us, which is really a big help to our family,” he said. “There are no more ‘tambays’ in our barangay because everybody’s busy,” the 49-year old forest worker added.